I was told that Firebelly toads required a minimum of care and that they were very hardy. That was a partial truth. I think that one could provide the bare essentials of their needs, but that would be doing the animal a disservice. Originally, I started out with a plastic enclosure with pebbles as a substrate and a ramp so that my toads could get into the water easily. They required a heat lamp on a timer so that normal day/night cycles could be observed since they lived indoors. The toads were easy to feed, with crickets from the pet or garden store. The difficult part of taking care of them was making sure that their food had the right amount of nutrients in it, so it seemed like I ended up taking care of my pets' food as much as I was taking care of my pets! Also, I think the toads would have been happier in a larger enclosure with a more natural habitat (real plants, etc). Having the correct type of water is also essential as frogs and toads absorb it through their skin. I really did enjoy taking care of the toads, watching them swim around and the way they stalk their prey and close their eyes when they swallow it is so cute! It was also neat to hear their mating calls at night (it sounded almost like a seal bark). Eventually, the toads got lesions on their heads and so I took them to the vet, who gave me an ointment, but it ever cleared up and they died, which really bummed me out. 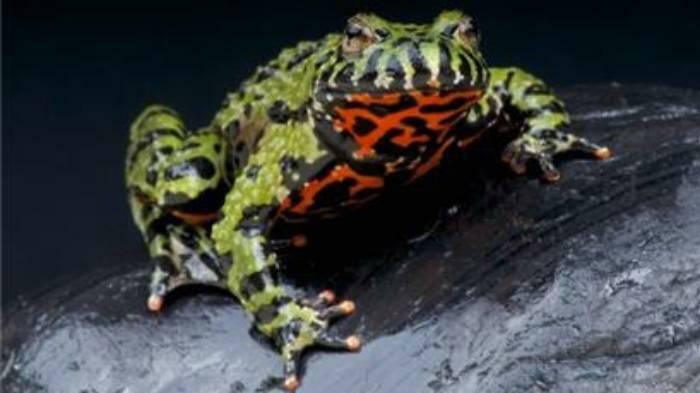 I think that firebelly toads make a great pet, but the prospective owner should do a lot of research beforehand and make sure that they will be able to provide for the needs of these animals.